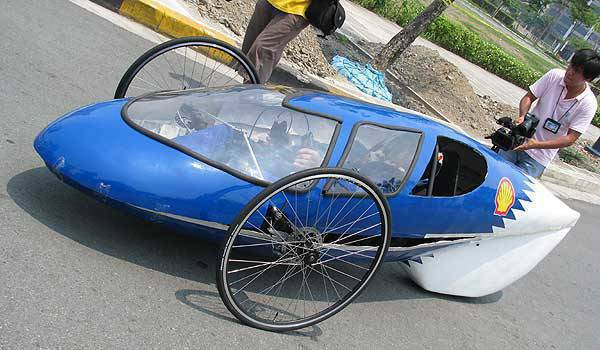 The race of the most fuel-efficient cars imaginable has kicked off with three teams from different schools in the Philippines and more than 100 other participants vying for the top award in the first Shell Eco-marathon Asia at the Sepang International Circuit in Malaysia. Students from Don Bosco Technical College of Mandaluyong, Mapua Institute of Technology and University of Santo Tomas are carrying the Philippine flag in the Futuristic Prototype category of the competition. 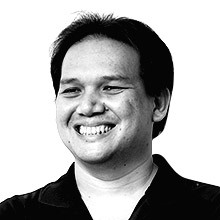 "This event affords a unique engagement opportunity for current and future leaders who are passionate about finding sustainable solutions to the world's energy challenge," said Roberto Kanapi, Pilipinas Shell vice president for communications. "It's an honor to send our promising Filipino students to one of the biggest fuel-saving events in the world." 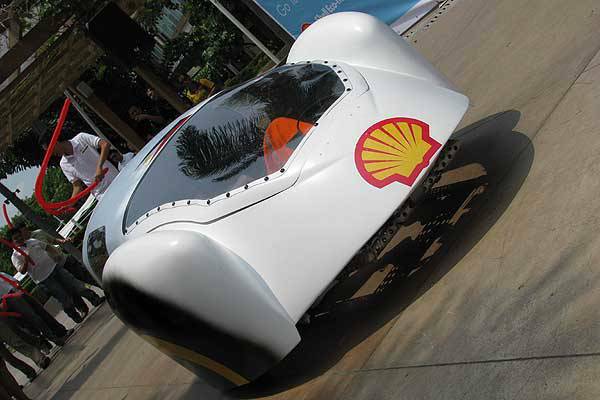 Aside from the Shell Eco-marathon Asia grand prize of $1,500, Shell is also giving out special awards for the best vehicles based on engine types and by energy class. There are also awards for the vehicles with the best safety features, technical innovation, design, and communications and marketing. 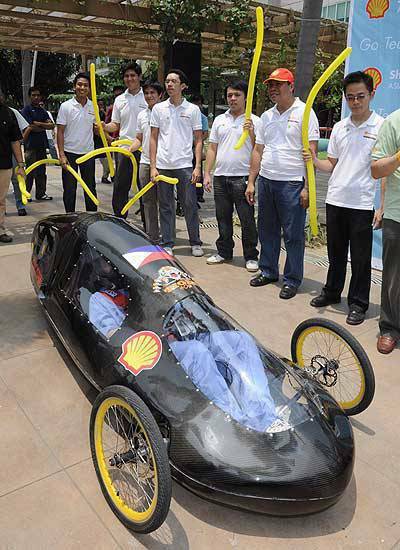 Shell is also searching for the People's Choice Awardee--the team which will get the most number of votes from the Eco-marathon's website. Don't forget to click on this link to vote for your bet. But before you do that, check out the three streamlined experimental cars from the Philippines which may just change motoring as we know it. "In keeping with the environment theme of the race, we used a lot of recycled parts. The padding for the seat, for example, is made up of the extra glass fibers from constructing the shell while the muffler was made out of a used receiver-drier of a car airconditioning system," said team leader Jericho Paolo Rivera. "We also made approximately 300 12-millimeter holes in low-stress areas of the chassis as a weight-saving measure and we have a snorkel to help the engine breathe." "We have one practice day on the track before the race so we'll use that to study the track, familiarize ourselves with the layout and the gradients so that we can ease off the accelerator in the areas where we can just coast the car and find out what section of the track do we need to maintain a constant speed," added Rivera, one of the two drivers who will be piloting Atalanta. Want to vote for Mapua Institute of Technology's Atalanta? Click on Entry No. 34 under the People's Choice Awards tab on this page. "Everything about the car, we did in-house--even the fiberglass shell--so Grigio is 100-percent made in Don Bosco," said Edmund Angeles, one of the students who engineered the car. "We minimized road friction by using thinner tires and we brought down the engine's RPM to achieve optimum fuel efficiency. The car is actually called Grigio II because the first car we constructed was too big and too heavy so what we learned from Grigio I, we applied to Grigio II." "We've had very little time to test the car so we'll be using an engineering formula that will factor in drag, friction, inertial load and the track's gradient so that we can optimize the car's settings for the track," said Angelo Blanco, one of Grigio's two drivers. Want to vote for Don Bosco Technical College's Grigio? Click on Entry No. 36 under the People's Choice Awards tab on this page. "We turned the carburetor engine into a modern electronic fuel-injected one by adding an engine control unit so that we can accurately control the car's fuel consumption," said team leader Tim Mervin Orille. "We also made the car lighter by using a carbon fiber body shell instead of fiberglass." "We'll be studying the track during the one practice day and find out the sections where we can coast the car to save on fuel. Once we have that, we can find the rhythm where we could run the race comfortably while consuming the least amount of fuel," said Orille, who is also one of the team's two drivers. Want to vote for the University of Santo Tomas' Tiger 400? Click on Entry No. 35 under the People's Choice Awards tab on this page.